1. Please contact Shelley Awad six months in advance if at all possible. 2. Please advise if there is a specific date required for the visit. 3. Please advise if there is a specific event taking place? If so, provide details on the event. 4. Who will be in the audience, and how many people will there be. What grades are being presented? 5. How many presentations is the author being asked to make? 6. How long is the author being asked to stay? Ensure the students are aware of the author's visit. An Order Form will be emailed to you. It can be sent home with the students a couple of weeks prior to the author's visit. 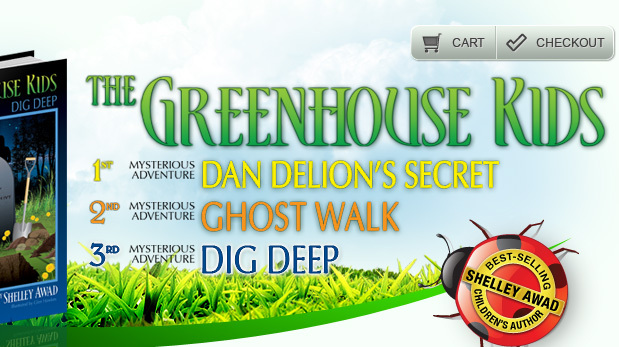 The Greenhouse Kids books, Dan Delion's Secret and Ghost Walk can each be ordered in advance of the visit if desired. Book signings can be done at the end of the presentation. The book signings can be personalized as noted on the Order Form. Contact Shelley Awad prior to the visit so that she will know how many books to bring with her for the signing. If possible, please display them in your library. Parents can purchase by cheque, cash or credit card. The payment instructions will be sent to you. The presentations vary, depending on the age of the students. With older students (grades 5 and 6) the presentation may begin with the author's background, and what led her to a writing career. She can also talk about the publishing process, from the idea stage to the finished book. The books will be discussed, and a reading can take place. Questions are always encouraged from the students. 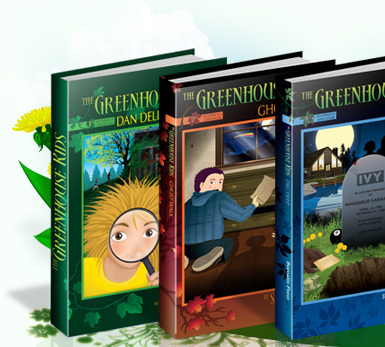 Students can also learn about the benefits of greenhouse gardening. There are a number of garden projects that can be done, and the students would need to be prepared in advance to ensure they have everything that they need to participate. Please view our gardening activities and let us know if you would like to include any in the presentation. An optional activity would be for the students to learn how to plant seeds. You would need to supply the soil, water, pots and seeds to be planted. In warmer weather, this could be done outdoors. A single class size is ideal. Two or three classes can also work well, but that is the limit.